Because the catchphrase in today’s world is wireless, most people get caught up in the word, but do not understand the technology and its limitations. 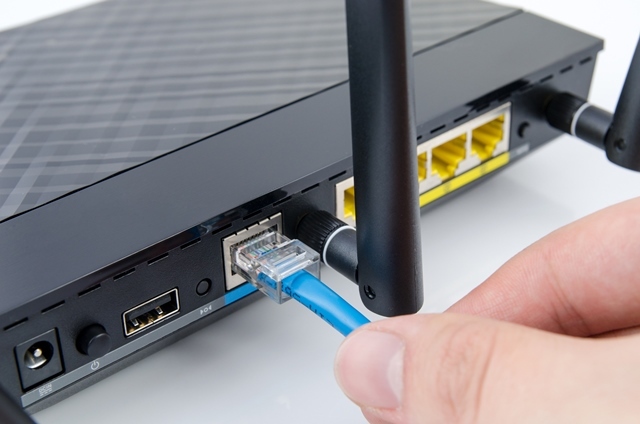 Just because a device has wireless capabilities does not mean that is the best connection for it. Those same devices often have the option for a wired connection as well. Electrical contractors have the ability from day one of a pre-wire to cable to every TV location. But for some reason they seem to know better. At home we connect with our smartphones or tablets to the internet via Wi-Fi, so they think everything we do now days works on Wi-Fi. Wrong! The reason why smartphones and tablets connect via Wi-Fi to your broadband network is because this is how they were designed. 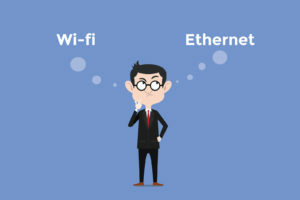 Have you noticed why they generally don’t have an ethernet connection? That should be the giveaway. They were always designed as a portable device that we can take anywhere and connect via a Wi-Fi or Cellular network as required. Have you ever wondered why a Desktop PC, Media Player, or Smart TV has a fixed RJ45 ethernet port? The hint here generally is because these devices are not portable and need to have a fixed connection. Of course, if no cable is installed to their locations then yes, they need to be connected wirelessly. But this should be the second choice. Why is it that the electrical contractor thinks they cannot justify a piece of cat6 cable to these locations because they think I can’t charge my customer for a piece of cable they do not need? Really! Who has Netflix or Lightbox and are streaming this through their smart TV and are seeing the program buffer or lag? As we move up to streaming 4K content the bandwidth used is much greater. If only technology was going backwards eh. We could go back to using a piece of string! For the un-initiated every device connected to the Wi-Fi network in that home shares the bandwidth of that wireless connection. Have you ever wondered why you connection speed is so slow sometimes? If we have a family of 4 each using their smartphone or tablet at the same time while each watching their smart TV then we have 8 devices all sharing that bandwidth. Now if each smart TV was connected via a cat6 cable directly to the broadband network then we would have 4 TV’s sharing the total bandwidth of your total network. That would be 4 devices off the Wi-Fi network which would allow those wireless devices to work a lot faster as well. Please remember that technology is out there for all of us to enjoy. Our Internet Service Providers are offering up to gigabit connections depending on where in NZ you live. Download speeds of 200-500mbps are common now days. Consumers need to be able to take advantage of these faster connections. Don’t limit this by making them go wireless at the last point of the connection. Fixed cable speeds have increased 100 times since their inception but wireless speeds have only increased 30 times in this same period. What about cellular broadband? They are similar in comparison to Wi-Fi speeds. Yes there is talk of this network getting faster in the future but in reality we have a fixed connection broadband service available now that is fast, reliable and works every time. Use it!